BERLIN – What will universities look like as this century progresses? That was the question to a panel at Online Educa in Berlin this past Friday. They didn’t really have an answer to that question. But they presented some research that shows where trends are heading. Here are the highlights from the three presenters from Norway, Spain and Germany. 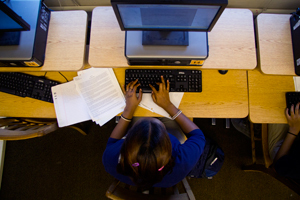 Students used computers 3.1 hours on average per week during organized teaching time in 2011, up from 1.7 hours in 2008. Students used computers 15.9 hours on average for studying purposes per week, up from 9.4 hours on average per week in 2008. Students used computers 13.8 hours on average during free time per week, up from 10.4 hours per week on average in 2008. 90% of students feel digital tools/media are important academic aids. 3 out of 4 prefer education involving ICT. Only 4% prefer no use of ICT in education. Search engines 91% (e.g. Google). 36% use internet and mobile phones related to studying activities. Digital games and virtual worlds like second life are hardly used. No change since 2008. 61% foresee flexible educational programs. 56% expect to gain ICT competence to suit the workplace. 82% believe ICT makes collaboration with other students better. 79% say ICT makes it easier to complete studies. 74% say it gives freedom to study when/wherever they want. 71% say it is simpler to be in touch with academic staff. Only 31% of students say ICT can be distracting. What opportunities do academic staff believe technology contributes to? Easier communication with students: (82% of administrators v. 78% of teachers). Improved flow of information ( 69% of administrators, 70%of teachers). Dr. Ingo Rollwagen is a senior analyst in Deutsche Bank Research, the think tank of Deutsche Bank, where he covers trends in education systems and the emerging education and knowledge business. He also teaches at Technical University Berlin. ICT investments by universities is expensive and it involves a set of categories ranging from hardware, software, data, web, mobile. “Mobile is the frontier we are now seeing,” he said. The key, he says, for technologies like whiteboards is for institutions to train faculty and teachers on how to use the technologies effectively in a classroom. - 73% have a pc. 89% have a laptop. 62% both. 15% take laptop to their courses. 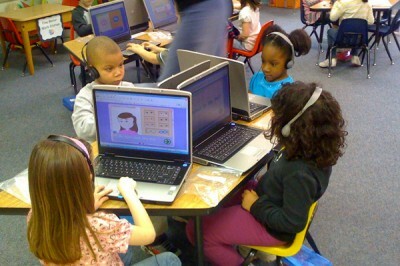 - The most used technologies in education: virtual campus is high. Internet searches high. Multimedia presentations high. YouTube high, video and audio clip, google docs, wiki, forums, blog, digital photo, social networks. - The least used technologies in education: mp3, mp4, chat, games, mobile phones, info repositories, web quest, interactive whiteboard, podcasts… last Second Life. “The high rate of social networking (in education use) is one of the surprises,” she said.